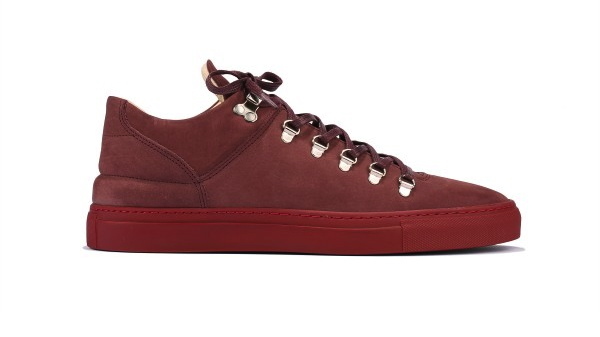 Amsterdam's fast-rising Filling Pieces brand presents the new Mountain Cut low-top in all burgundy. 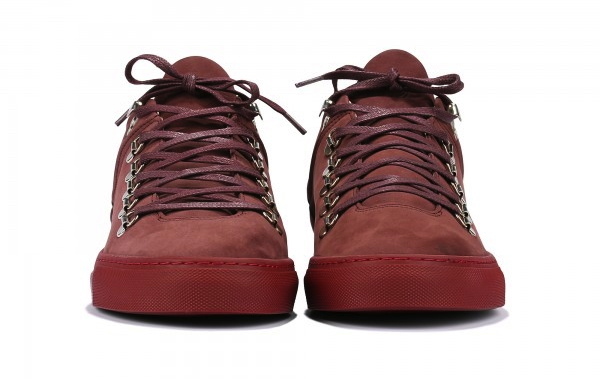 Amsterdam's fast-rising Filling Pieces brand unveiled its new AW '13 collection this past weekend, highlighted by the Mountain Cut low-top in all burgundy. Handmade in Portugal, this excellent new offering features a premium nubuck upper with a full leather liner, supported by an Italian MARGOM sole. 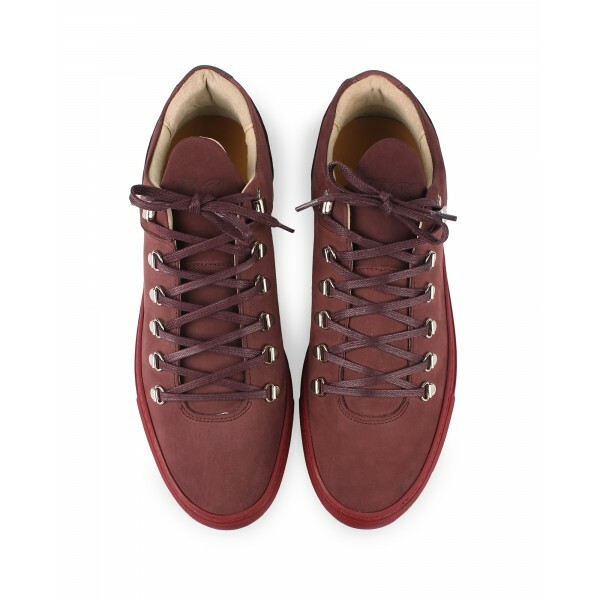 Metal hardware and waxed laces complete the shoe's luxurious look. 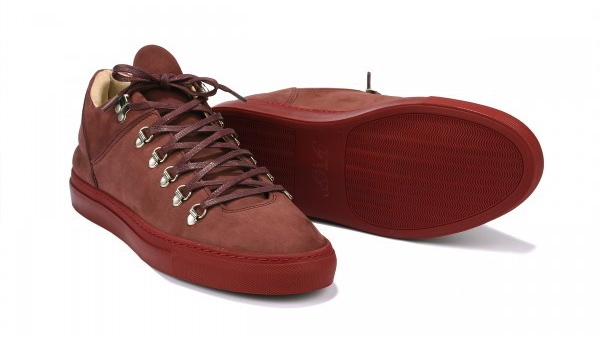 The Filling Pieces Mountain Cut in burgundy nubuck is available now at Fillingpieces.com. Retail price is set at €160.00 (approx. $212 USD).